The gates to the temple of truth are guarded by two dragons: Paradox and Confusion. ἀλήθεια (Aletheia): a Greek word for truth; more accurately unconcealedness. Dialetheia: a statement that is both true and not true. Through my experience I have seen ἀλήθεια (Aletheia) revealed or unconcealed with well constructed dialetheia. Similar to a zen koan, the reconciling of the unreconcilable allows for a break in thinking as usual. This moment of reconciliation of "the truth" occurs as an epiphany, an ah-ha moment, or more mystically enlightenment. In our western culture we speak of telling the truth and knowing the truth. In my work with individuals and organizations I have found very little truth is spoken. This is not to say that people lie or are lying. Aletheia is not truth as we know it. Aletheia is truth as it is. 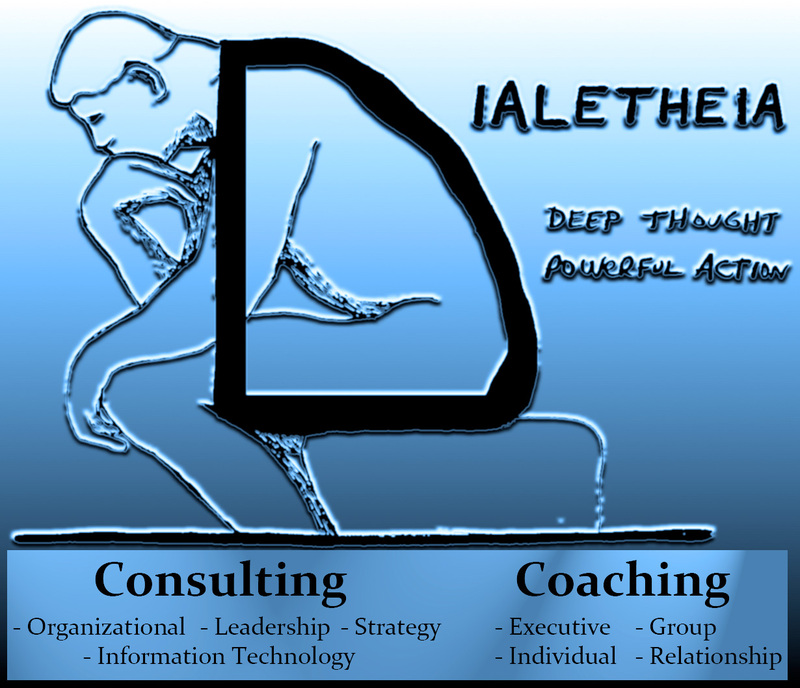 Aletheia unconcealed allows your business to operate differently. When individuals, groups and whole organizations come from Aletheia operations are clear, business has purpose and people are moved by their work. Increases in efficiency and productivity can be expected in the 100% to 500% range. The unexpected occurs expectedly. Join us in revealing your Aletheia. You can't see it now, but it's there.